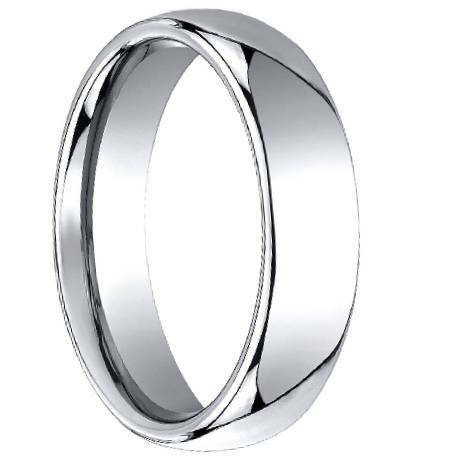 For a classic wedding band with the look of platinum at a fraction of the price, try this designer cobalt chrome wedding ring. 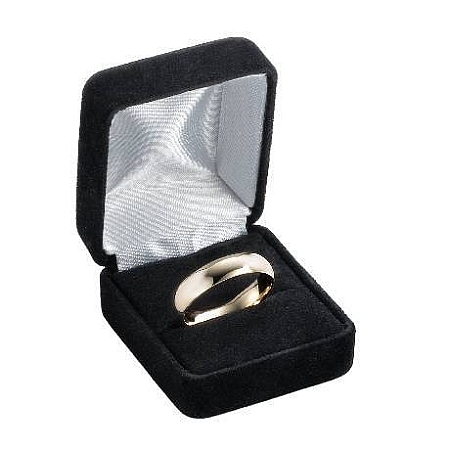 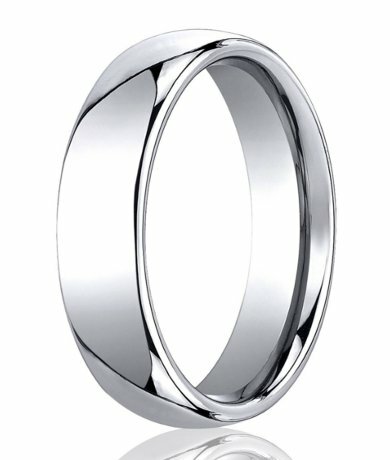 This traditional men's wedding band has an attractive polished finish, slightly domed profile and 6mm comfort fit band. 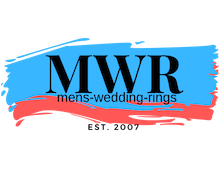 Cobalt chrome is hypoallergenic, resizable and thanks to its naturally silvery white hue, never has to be re-plated.Comfort-fit rings should be ordered 1/2 size smaller!